Nova Ukraine is proud to support Ukrainian writers by introducing their work to English speaking readers. 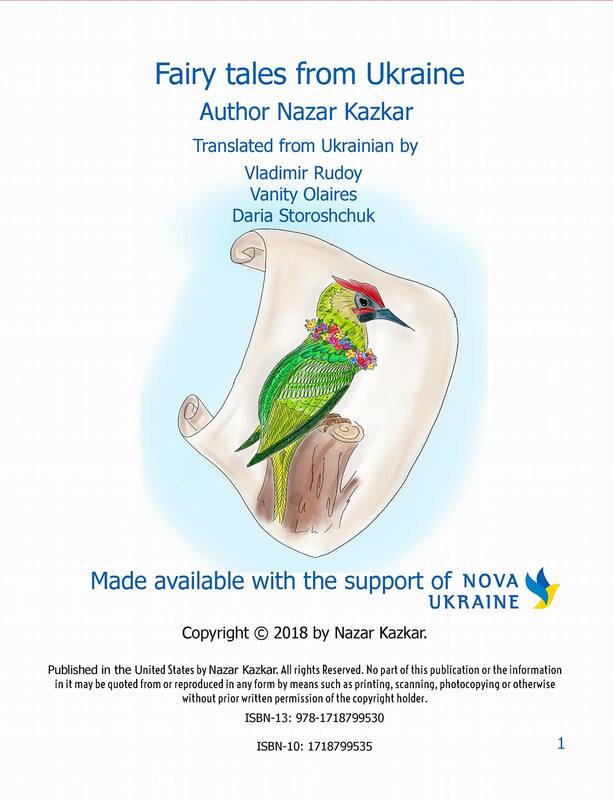 In the first such project, Nova Ukraine supported young Ukranian author Nazar Kazkar with publishing his book The Green Woodpecker, making the book available for the audiences outside of Ukraine. 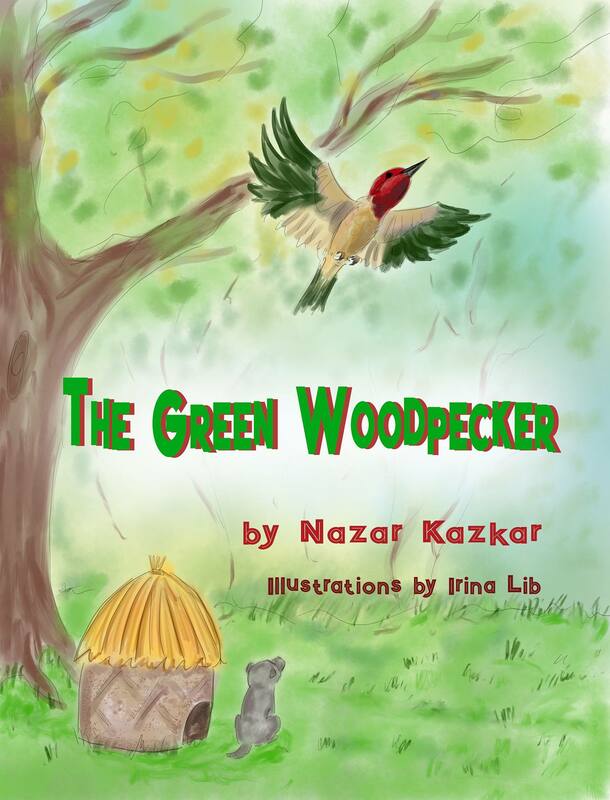 The Green Woodpecker is a book for children from 4 to 8 and for everyone who loves magic and adventurers. You can purchase The Green Woodpecker on Amazon by following the link here. The book was illustrated by a talented artist Irina Lib. You can find more of Irina’s work by following the link here. 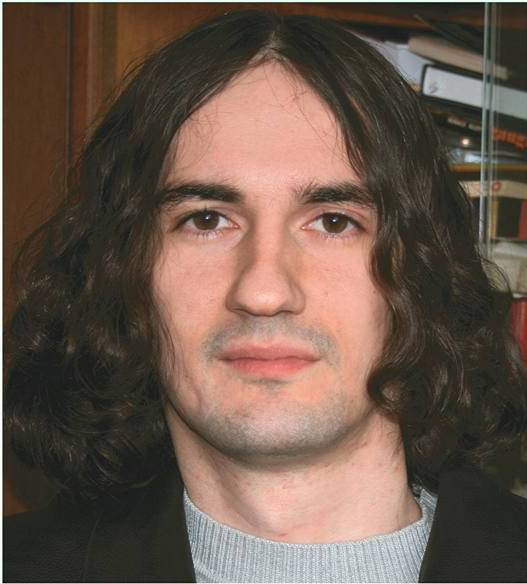 Nazar Kozachenko (pen name Nazar Kazkar) is a contemporary writer from Ukraine and author of several novels, such as “Today I Became a Walrus”, “The Charming Fairytale” and “The Killer of the Art.” He won the main prize in Smoloskryp and Granoslov literally competitions. The book of fairy tales The Green Woodpecker is Kozachenko’s first book for children. He was inspired to write this book when playing with his niece Eva. The fairy tales in this book take a reader to the land of magic and adventure while teaching the importance of supporting and loving one another. This book also helps children understand individuality, cultivate acceptance, tolerance, and compassion. “We are all in this life together!” is a truly a good message for parents and children to revisit again and again. No Replies to "Supporting Ukrainian Writers"